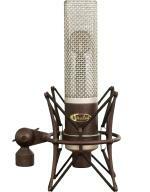 Designed as wide application high quality studio microphone. The Wedge uses a new compacted large size true electrostatic single diaphragm cardioid capsule, providing high output and a full audio spectrum of sound. 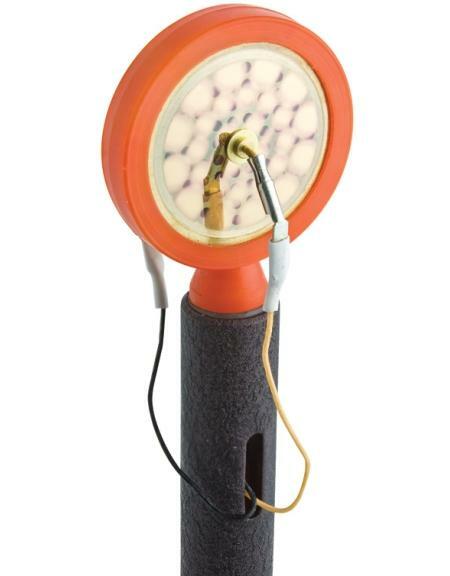 The transducer capsule is internally dampened from vibrations and resonances. 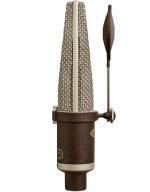 Acoustic open long double mesh head provides new level of sound transparency and naturalness. 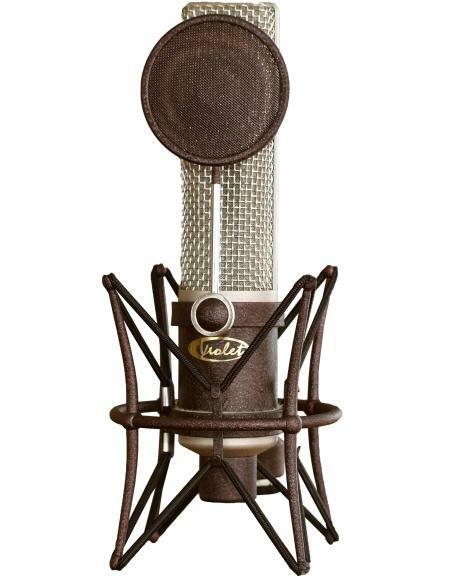 The optional original construction double cone metal mesh external studio pop filter effectively protects the diaphragm from plosive sounds, breath and pop noise using microphone on vocals and speech. The Wedge comes with a stand holder, but is ready for three different construction optional studio shock mounts for additional protection from external subsonic interference. "The Wedge" condenser microphone from Violet Design is meticulously designed for the highest quality of studio recording. Re-engineered from Violet's original "Dolly" model, The Wedge produces deep, dimensional sound, and boasts a wider range of applications than its predecessor. Its multi-layered, wedge-shaped head effectively reduces plosive sounds and other noises such as wind or breath. 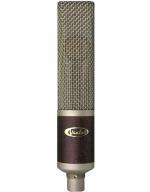 The Wedge's capsule is made of high-quality, 6-micron Mylar film, and it's innovative freestanding design results in a more open and detailed sound. The critical first stage circuit is located close to the capsule to further improve sound quality. The large single-diaphragm is precisely tensioned, adjusted on back plates, and sputtered with Violet's exclusive gold alloy mixture. This process allows The Wedge to give a faster impulse transient response without sound coloration or low-frequency reduction, and also makes it capable of handling high sound pressure levels. The internal solid-state preamplifier of The Wedge is a Class-A fully discrete transformer-less circuit, built using high quality, hand selected components. The circuit is designed to achieve the highest audio standards and provides flat frequency response, high dynamics, ultra-low self-noise, and very low audio distortion of all types. The Wedge should be used with high quality, regulated 48V phantom power. Gold-plated pins on the XLR output provide a clean and noise-free connection. The Wedge has a dark red body with black trim and comes in a fine hardwood box. 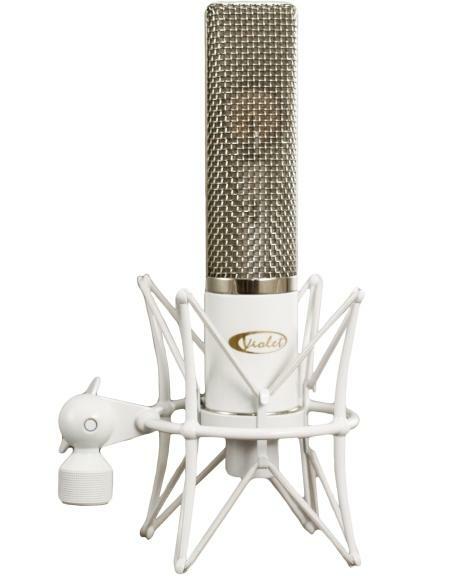 Acoustic open long double mesh head provides new level of sound transparence and naturalness. 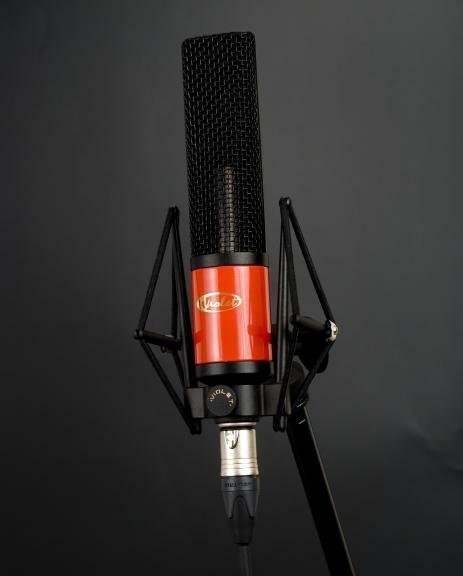 The Wedge comes with stand holder, but is ready for three different construction optional studio shock mounts for additional protection from external subsonic interference. 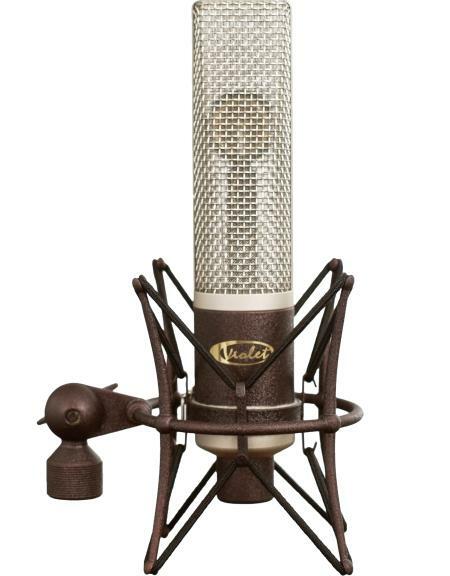 The Wedge's capsule is made of high-quality, 6-micron Mylar film, and it's innovative freestanding design results in a more open and detailed sound. The critical first stage circuit is located close to the capsule to further improve sound quality. The large dual-diaphragm is precisely tensioned, adjusted on back plates, and sputtered with Violet's exclusive gold alloy mixture. This process allows The Wedge to give a faster impulse transient response without sound coloration or low-frequency reduction, and also makes it capable of handling high sound pressure levels. 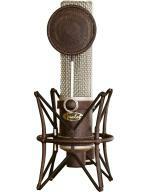 The Wedge has a warmer tone with very high output and low noise. It is designed for a wide range of studio recording situations. The fast transient response, crystal clear highs and loud SPL handling make it excellent for recording drums, especially for snare drum, overhead and hi-hat. The recommended placement is 2" to 4" from the drum rim, but you will want to experiment with different positions and angles. 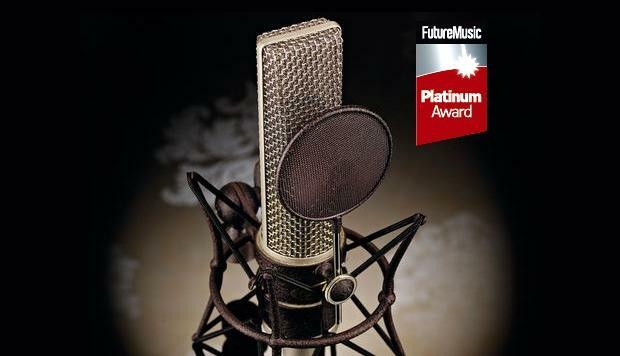 It is also excellent for piano, electric and acoustic guitars, bowed strings and brass instruments. For the clarinet and soprano saxophone use the microphone 4" to 12" above the horn and lowest pads. For other saxophones place the microphone 2" to 6" in front of the lip of the bell. For the flute place the microphone above the middle of the instrument. Place within 20" from the bell of trumpets, trombones, French horns, tubas and other brass instruments. When used as a vocal microphone, position The Wedge 1/2" to 4" away to get the best results. 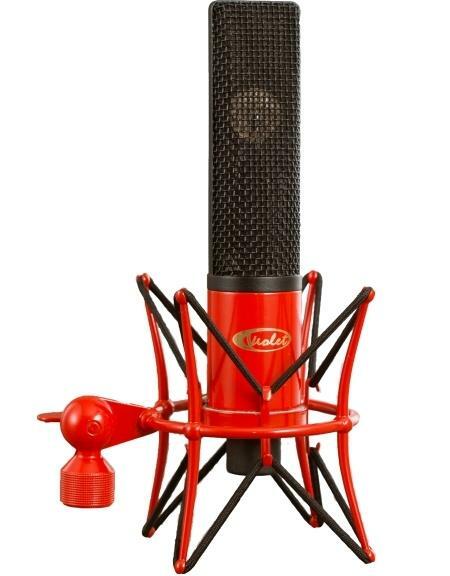 There is no need to worry about overload but using a pop-filter in the studio or a foam windscreen in live applications can help reduce plosive sounds and breath, pop or wind noises. "My standard approach to snare drum now includes the Wedge. I use it positioned on the shell of the drum and get an outstanding balanced snare sound." The Wedge has a warmer tone with very high output and ultra-low self-noise. 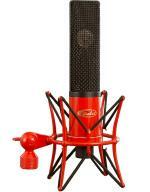 It is designed for a wide range of studio recording situations. The fast transient response, crystal clear highs and loud SPL handling make it excellent for recording drums, especially for snare drum, overhead and hi-hat. The recommended placement is 2" to 4" from the drum rim, but you will want to experiment with different positions and angles. It is also excellent for piano, electric and acoustic guitars, bowed strings and brass instruments. For the clarinet and soprano saxophone use the microphone 4" to 12" above the horn and lowest pads. For other saxophones place the microphone 2" to 6" in front of the lip of the bell. For the flute place the microphone above the middle of the instrument. Place within 20" from the bell of trumpets, trombones, French horns, tubas and other brass instruments.